This photograph was taken on March 20, 1944, on a Portuguese ship, the Serpa Pinto. 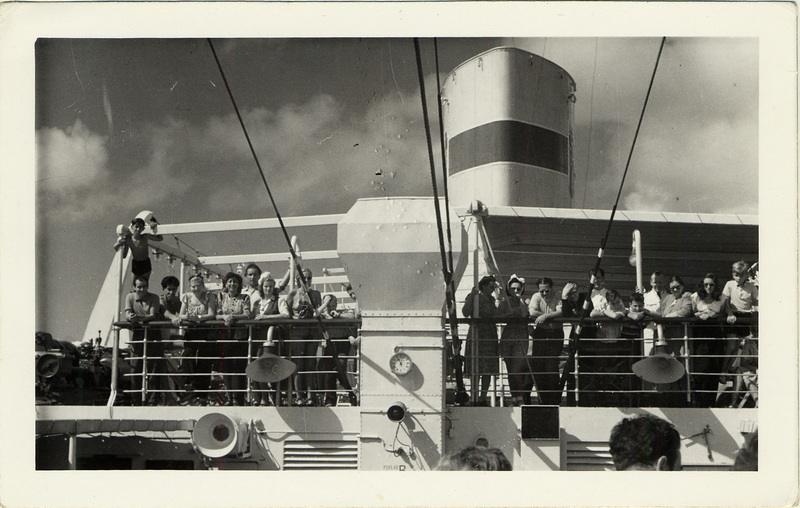 A group of men, women and children stand on the ship’s balcony. Alice Eckstein, Maurice Shenkier’s mother, is the sixth person from the left. This photograph was taken on March 20, 1944, on a Portuguese ship, the Serpa Pinto. Alice Eckstein, Maurice Shenkier’s mother, is the sixth person from the left. 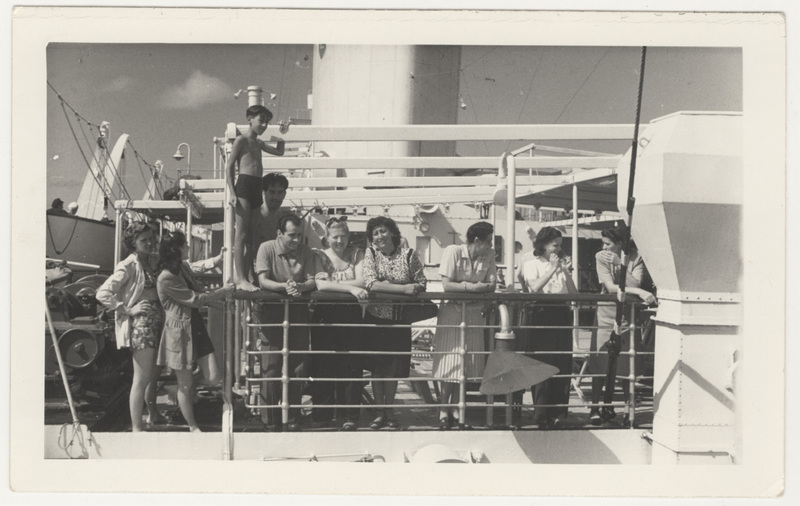 A group of men, women and children stand on the Serpa Pinto ship’s balcony. 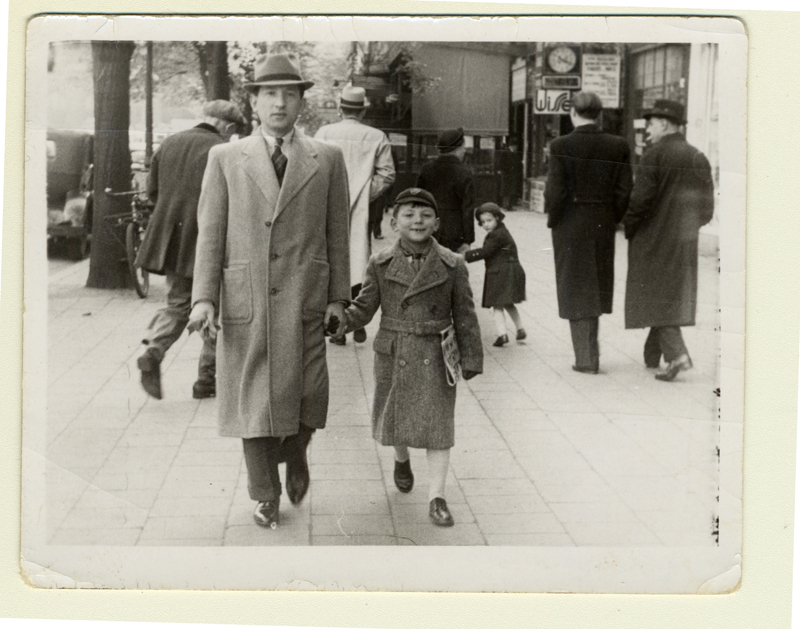 Maurice and his father Sam Shenkier in Belgium in 1939. 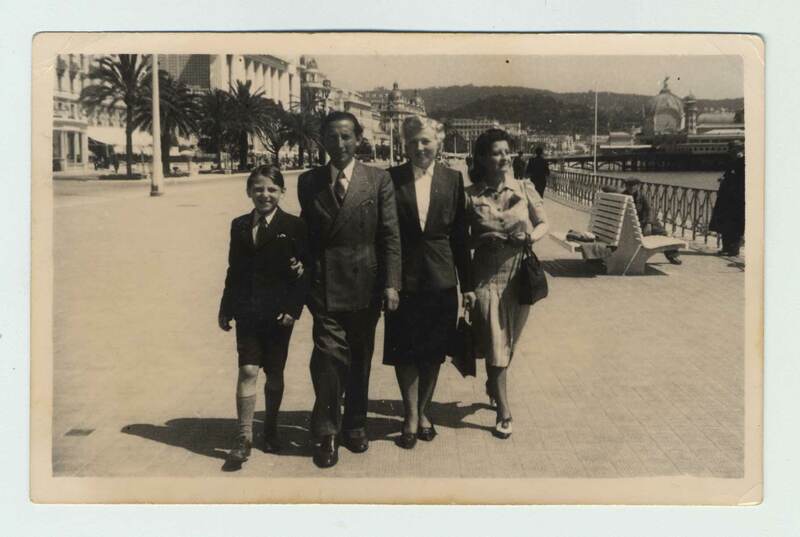 The Shenkier family on the Promenade des Anglais in Nice, circa 1942. The Shenkier family lived in Antwerp, Belgium, before the war. 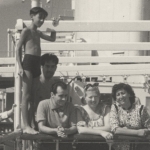 When the Nazis bombarded the city, the family escaped to Nice, France, where they stayed until 1942. Maurice and his parents made their way to Lisbon, Portugal, and boarded the Serpa Pinto for North America. The family was able to pay to leave Europe thanks to Maurice’s father, Sam Shenkier, success in the diamond trade in Belgium. The Serpa Pinto was a Portuguese passenger ship under the command of Captain Americo Dos Santos. During the war, it was one of the few passenger ships that linked Lisbon to Rio de Janeiro, New York, Philadelphia and Baltimore. 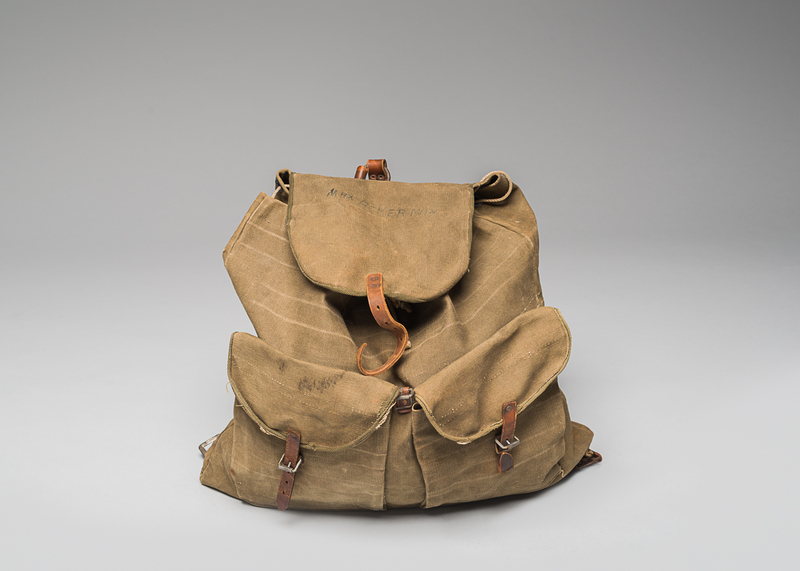 It is estimated that 7,800 refugees, the majority of which were Jews escaping Nazi persecution, crossed the Atlantic aboard the Serpa Pinto. The Shenkier family landed in Philadelphia and boarded a train for Montreal. 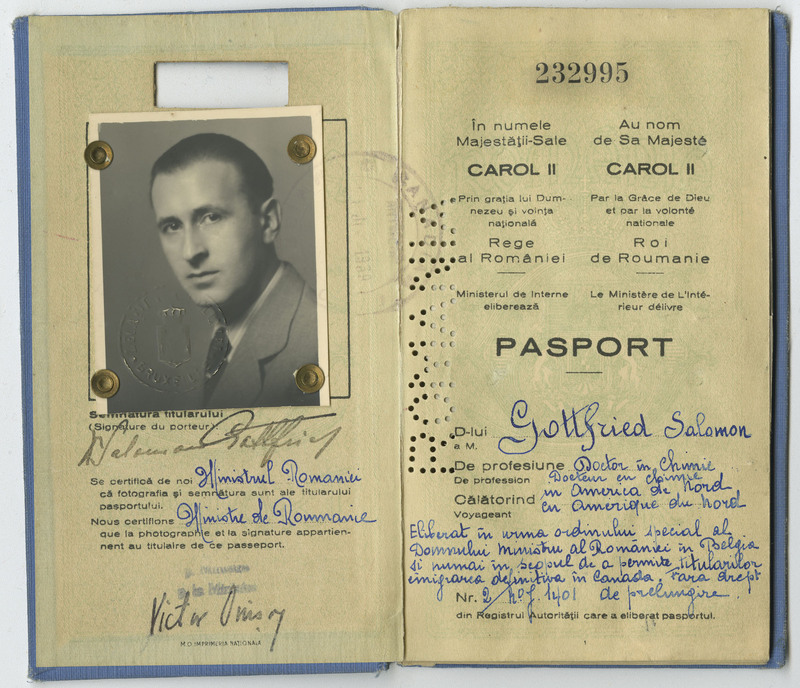 Maurice Shenkier donated this photograph to the Montreal Holocaust Museum.